Dr Jengo's World: Assassin's Creed Unity confirmed with a Teaser Trailer! Assassin's Creed Unity confirmed with a Teaser Trailer! So the recent reports have been confirmed, Assassin's Creed Unity will be the next-gen game that will be releasing towards the end of the year. Reportedly, AC Unity will take place in 18th Century Paris and you can see some screenshots over at Kotaku. If you look at some of the screenshots, 2 of the buttons will allow you to "parkour" up and down. Looks like this will be a new way to climb buildings and obstacles in the game. Still no details about the plot and how this will tie up with the AC universe, but I'm sure we will have more details before E3 2014. I'm just a little confused about something.. Why isn't this game named Assassin's Creed 5: Unity? Yes, Ubisoft has released other AC titles without numbering them; Assassin's Creed: Brotherhood & Assassin's Creed: Revelations but those were continuations of AC2. And there's the title - Unity. I did a quick google search and this is what I got. This could be referring to the Brotherhood of Assassin's, all of them being united as a whole. But, I have always believed that the AC franchise will include Co-Op multiplayer somewhere in the future. Will next-gen technology be able to support that? 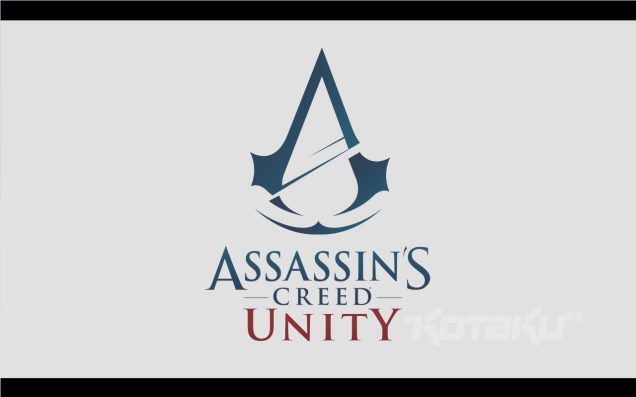 Will this Unity mean a team of Assassins working together to be the whole, and with different players controlling them? A bit of a far-fetched idea though, considering they have only shown 1 Assassin in the Teaser Trailer but it's still early days. Depending on how you look at it, this could be in contrast to the first meaning or it could support the first idea. In Mathematics, Unity is referred as the number 1. So this could be that the Assassin is all alone, as a single person, not in a Brotherhood. If you look at French History, the French Revolution took place in the 18th Century and this is the time period that the game is taking place. I'm sure that the French Revolution will be the main setting in Assassin's Creed Unity. I'm not very well-versed in French History but this is also when many French women broke out of their subservient roles and started being more involved in political issues. This could also be one of the reasons to what Jade Raymond, referred to as her favourite historical period. So, the unity could be referring to the uniting of France since the country is having an Internal war. A lot of possibilities of course.. This also confirms rumours that there will be 2 Assassin's Creed games released this year. The other, being code-named Assassin's Creed Comet, will be releasing for current-gen.
An interesting decision which raises more questions.. Is this, AC Comet, going to be the AC V? If it's only released for PS3, XBox360 and possibly PC, what about those gamers who have already sold their consoles and moved on to next-Gen? Most importantly.. Why 2 games? Is it just a marketing decision to reach out to both generation of consoles or are there more reasons behind it? 2014 has become a very interesting year for Assassin's Creed fans. I love playing this game..